Last year I rode 85% to 90% Fixed Gear. Looks like this year will be no different (Unless I get my Specialized Roubaix). 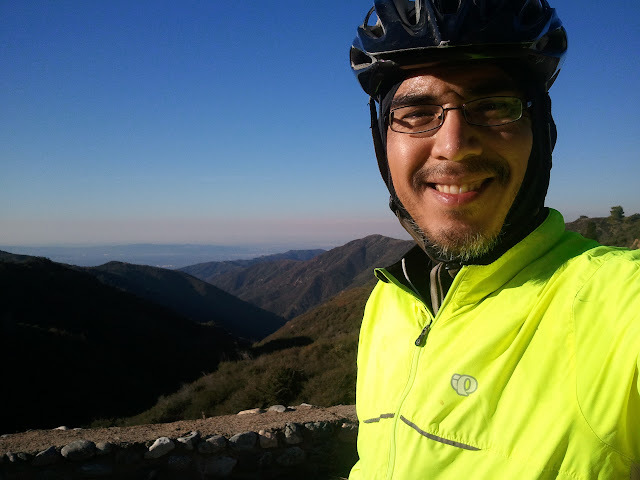 Today I rode up Glendora Mountain Road. It was clear. It was cold. I only went to the maintenance shed and on the way down I ran into John. We got to talking and I headed back up to the shed with him. It was a great day of riding and a lot of people were heading up GMR. When I say the maintenance shed, I really mean to the top of Monroe. This is a picture at the top. In a few weeks, I will attempt Glendora Mountain Road to Mt Baldy.